Want to test drive the Touring and Sable? Want to learn more about our guitars? Then join us at Spindrift Guitars, New London, CT on October 13, 2016 from 6:30PM until 9:00PM. John De Hoyos will be performing and McPherson representatives will be available to answer all your questions. JOHN DE HOYOS started playing guitar at the age of thirteen when he pulled his first guitar out of a dumpster in Phoenix, Arizona. On that discarded, broken instrument, John taught himself to play Ozzy Osbourne’s “Diary of a Madman” on the three remaining strings. After years of constant practice (eventually with six strings) he became heavily involved in the San Francisco blues scene and, by the age of eighteen, was opening for west coast mainstays like Clearance Gatemouth Brown and Robben Ford. Deciding that he could move his career along faster with a move to Los Angeles, John soon became involved in network television and feature film soundtracks, composing music on guitar, bass and banjo for projects including Universal’s Spiderman 3, HDNet’s Dan Rather Reports, Animal Planet’s If I Ran a Zoo and Agora Entertainment’s The Final. During this time, John became enamored with the acoustic guitar and began touring the U.S. and many foreign countries honing his skills as a solo acoustic entertainer, garnering accolades wherever he performed. In 2007, John became the only artist ever to perform for the American Embassy in Kabul, Afghanistan while working with journalist Dan Rather. 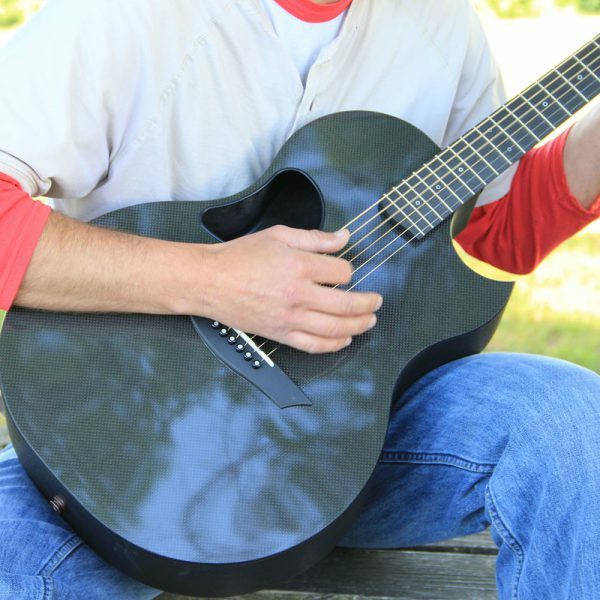 John has artist endorsement contracts with prestigious brands McPherson Guitars, LR Baggs, Fishman electronics, GHS Strings, Shubb Kapos, and Westone Professional Music Products. He performs with and represents their products wherever he goes.